VATICAN CITY (CNS) — In ongoing efforts to strengthen the oversight of the Vatican’s finances, an auditor general will be appointed who will have the power to audit any Vatican agency and be a lay expert who is answerable only to the pope, said Cardinal George Pell. The massive overhaul of the Vatican’s current accounting and budgeting procedures has also revealed that the Vatican’s economic situation is “much healthier than it seemed,” the cardinal said in an exclusive article for the London-based Catholic Herald magazine Dec. 4. The brighter financial picture emerged after the secretariat discovered “some hundreds of millions of euros were tucked away in particular sectional accounts and did not appear on the balance sheet,” he wrote. Jesuit Father Federico Lombardi, Vatican spokesman, told reporters Dec. 5 that the money did not represent “illegal, illicit or badly managed funds,” but was money that was never included in the Vatican’s old system of budgeting and reporting. The previous financial statements of the Holy See and Vatican City State that used to be publicly reported every year never “in any way included all the numerous administrative offices based at the Vatican, but just the main institutions of the Curia and the (Vatican City) State,” Father Lombardi said in a written statement. It had been a long-established system, “just as kings had allowed their regional rulers, princes or governors an almost free hand, provided they balanced their books, so too did the popes with the curial cardinals (and) as they still do with diocesan bishops,” he wrote. 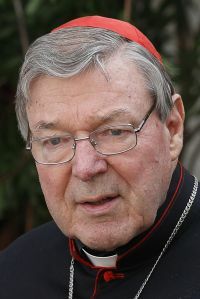 Even though this principle of subsidiarity — letting diocesan and religious orders locally manage their finances — remains “the only option” for the world’s huge Catholic community, the Vatican may send bishops’ conferences “the new set of financial procedures and chart of accounts introduced in November this year in the Vatican” for the bishops’ “consideration and use,” Cardinal Pell wrote. One person in the delegation said “he was praying for the success of the financial reforms because he wanted the Vatican to be a model for the world, not a source of scandal. This is our aim, too,” the cardinal wrote. “Eventually, all investments will be made through Vatican Asset Management, controlled by an expert committee, which will offer a range of ethical investment options, with varying degrees of risk and return, to be chosen by individual agencies such as congregations,” he wrote, emphasizing that “prudence” will have priority over risky, high-gain returns. Another substantial addition to the Vatican’s new financial reforms will be the auditor general, a layperson “answerable to the Holy Father, but autonomous and able to conduct audits of any agency of the Holy See at any time,” who will be appointed in 2015. Having a “separation of powers” is key to all basic oversight structures and is one of the three basic principles, together with standardized procedures and transparency, that are guiding the Vatican reforms. The principles “are not original and not exactly rocket science,” he wrote, but they are critical to reforming outdated practices. “These reforms are designed to make all Vatican financial agencies boringly successful, so that they do not merit much press attention,” he wrote. “Donors expect their gifts to be handled efficiently and honestly,” he wrote, so that the church can continue its work, especially in evangelization and helping the poor. “A church for the poor should not be managed poorly,” the cardinal wrote. Or put another way did Church investments take a ride down when the investment industry crashed starting in 2008, taking roughly five years or so to recover to pre – great recession levels? What evidence is there that the investment portfolio of funds (Vatican or diocesan) has been managed prudently?